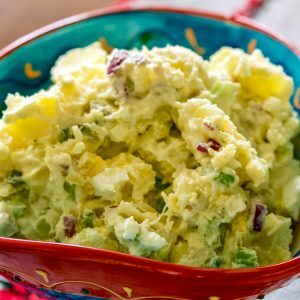 This Romanian vegetable spread or Zacusca, as we call it in Romanian, is something I would make every year, at the end of the summer. 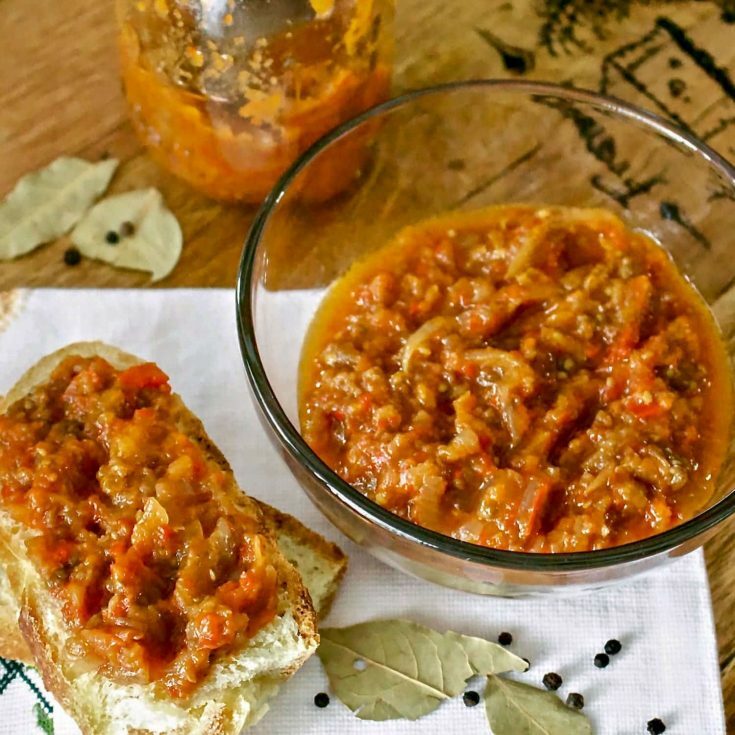 It is a combination of roasted eggplant, roasted peppers, fresh tomato juice or paste, and onions, all slowly cooked together to perfection. I actually can it in jars and consume it during the winter. 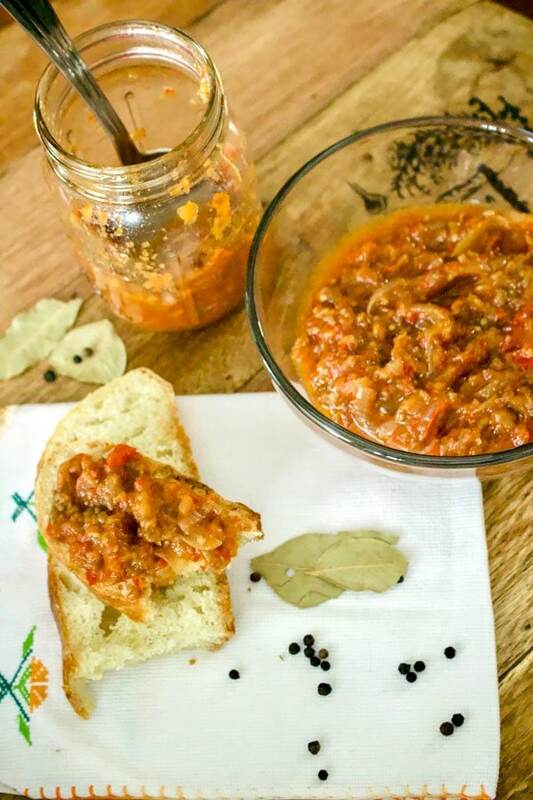 We serve it as an appetizer, but we also eat it on slices of fresh bread. You can create a delicious platter with your favorite cheese, cold cuts, fresh red onion and the vegetable spread zacusca, like in the picture below. 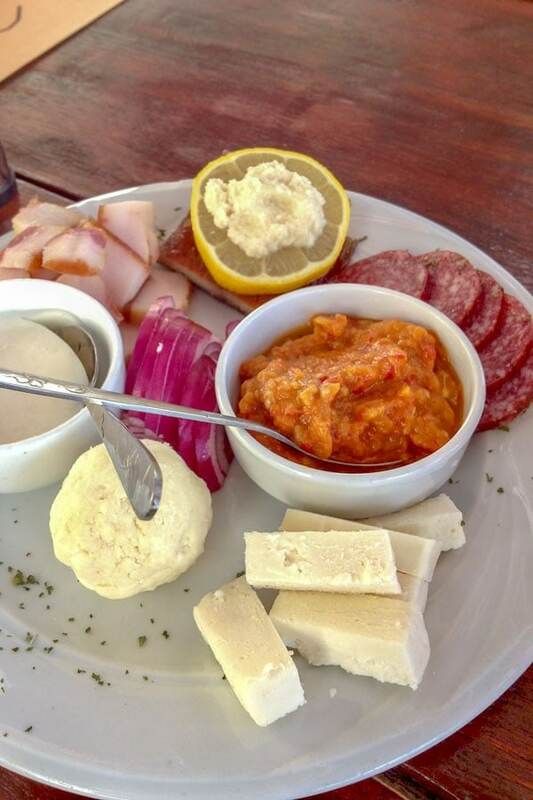 This is a traditional Transylvanian appetizer with local fresh products from the farms around. 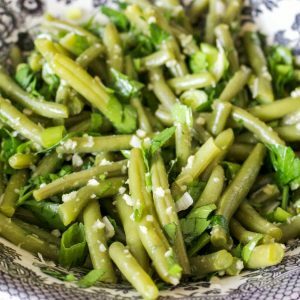 This vegetable spread is a delicious way to preserve vegetables from the garden and have a taste of summer when the cold weather arrives. Most Eastern European countries have a version of this spread. In some countries, the spread has more peppers and no eggplants, in other countries they use more tomatoes and less peppers. There are even variations of this Zacusca in Romania, where eggplants are replaced with white beans, zucchini and sometimes mushrooms. Some recipes also have carrots, parsley root or celeriac to give the spread a little bit of sweetness. The eggplant version is the most loved and popular though and this is what we are going to make today. 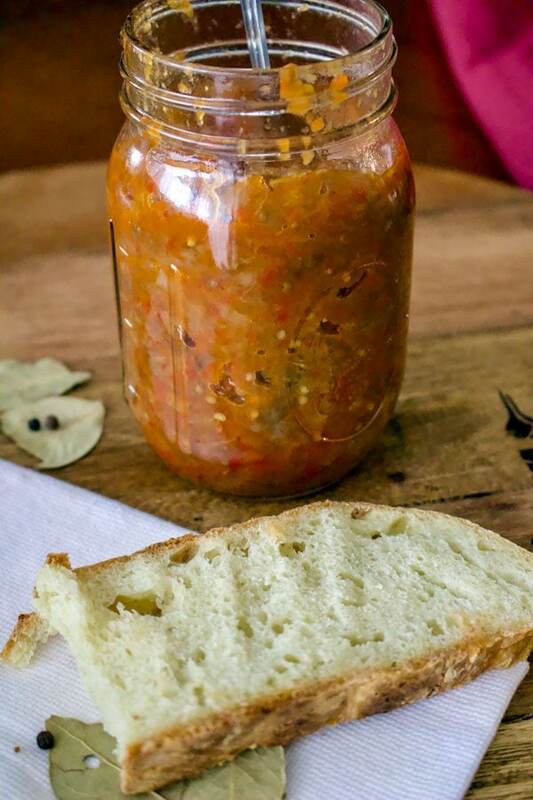 This Romanian vegetable spread- Zacusta requires a little bit of work. 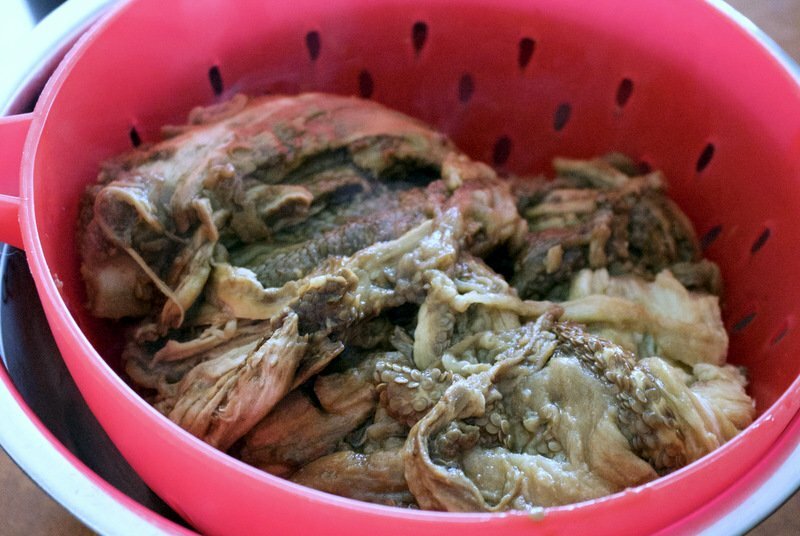 I am not going to lie to you, but it takes some time to make and only the dedicated one will put the effort and the work into making delicious Zacusca. In the past, this spread was a way of surviving in the winter, as we did not have fresh vegetables like we have today in the stores all year round. As some Americans might remember, canning was popular too before the industrialization and most people knew how to do it. It is a shame that we don’t do the canning more often. It saves money and trips to the store and also provides nutritious food for the entire family. At least you know what is in that food, right? The vegetable spread is made with roasted vegetables, so the next steps are going to be about that. We will start with the eggplants, because they are the heart and the star of this spread. There are different ways to cook the eggplants. I used them all and they all work. It all depends on whatever your possibilities are and the time of year. 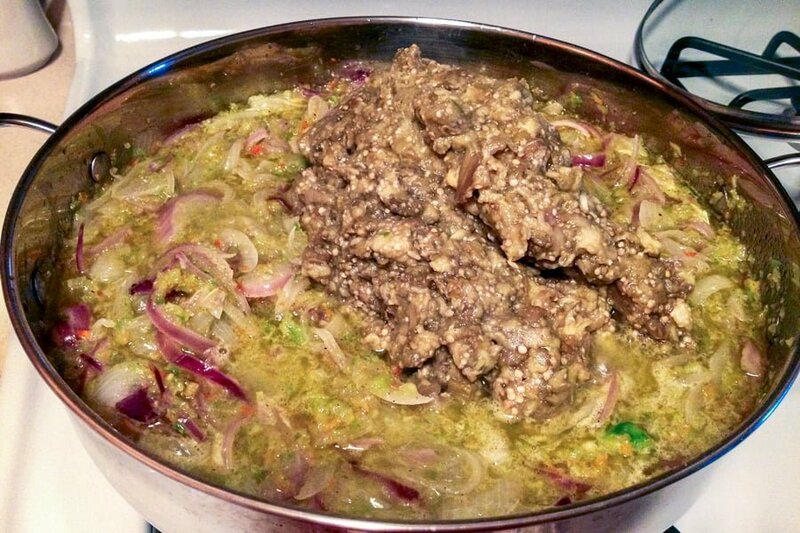 However, each method has an effect on the taste of the eggplant salad that you will, for sure, notice. ***The most traditional way to cook them is over an open fire. In the villages, the eggplants are cooked over a fire grill, as the smoke from the wood brings a beautiful flavor to the eggplants. If you live in a city, most people have gas stoves, so the eggplants are charred on the stove top. 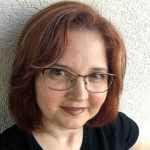 It is a messy operation, but I do not remember anyone doing it differently. If you use a grill, and I recommend a fire grill, bring the temperature of the grill between medium low to low. 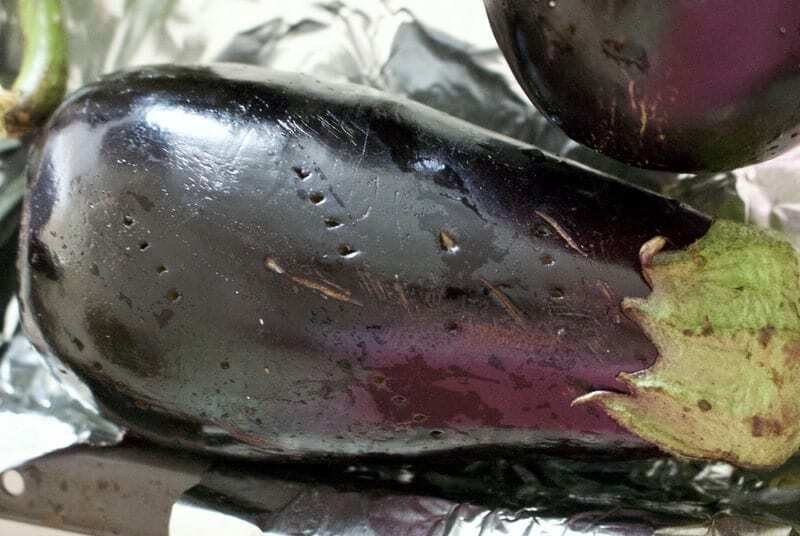 If it is too hot, the eggplants will burn on the outside before the inside is cooked. Pierce the eggplants in few places (so they don’t explode while cooking) and grill them on each side, turning them regularly, until the skin is burned. 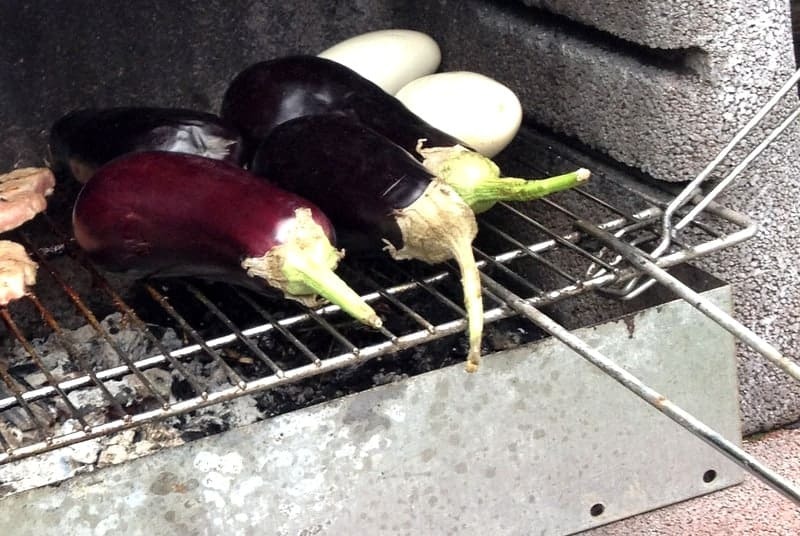 Depending on their size, you should grill the eggplants somewhere between 20 to 40 minutes or until the skin is evenly charred and the eggplant collapses. The flesh should be really soft. The eggplant salad made with grilled eggplants will taste really smoky and delicious! 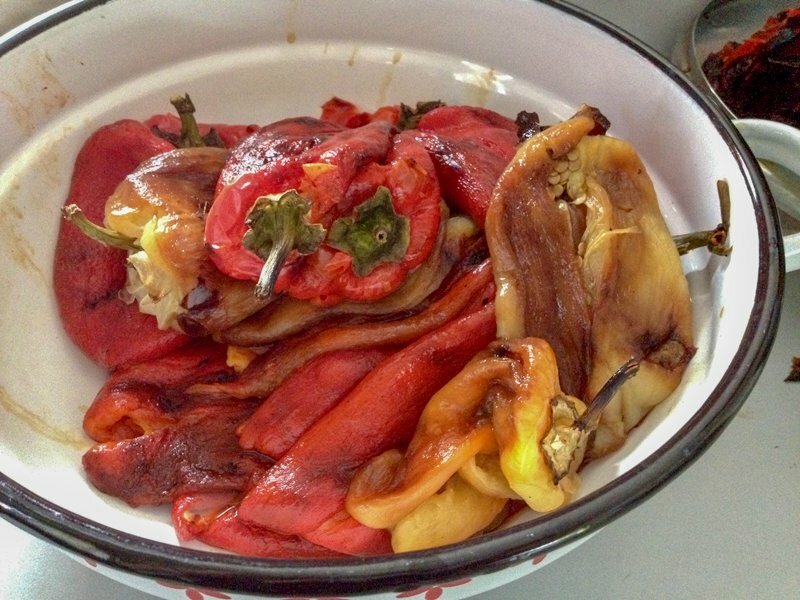 Here is another recipe that has roasted peppers also. Lay some aluminum foil around the burners of the stove top to make sure that the liquid released by the eggplants won’t cause too much of a mess. Turn regularly with a pair of tongs making sure that the skin is burnt on all sides. Cook until the skin is evenly charred and the flesh of the eggplants very soft. 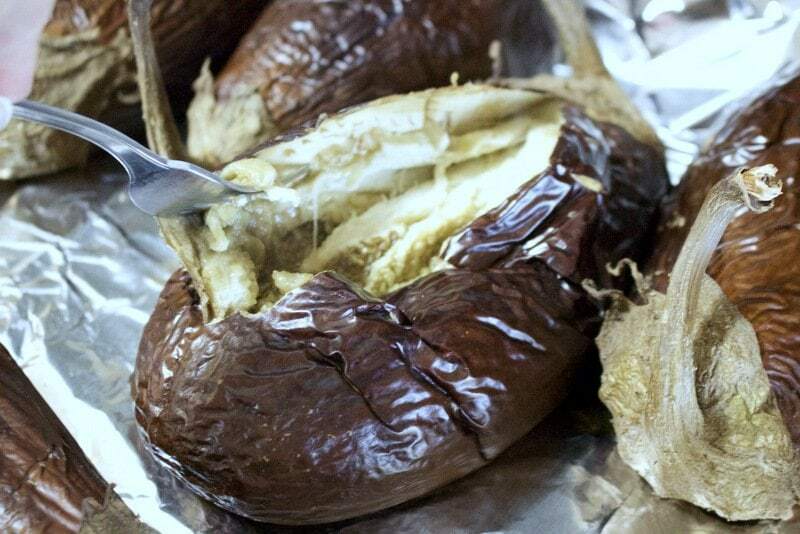 This is the fastest method of roasting eggplants, it only takes about 10-15 minutes for a medium eggplant, and this is the method most city people in Romania always use. The taste of the eggplants roasted on the stove top is smoky as well, a bit milder than the grilled one, but still totally delicious. 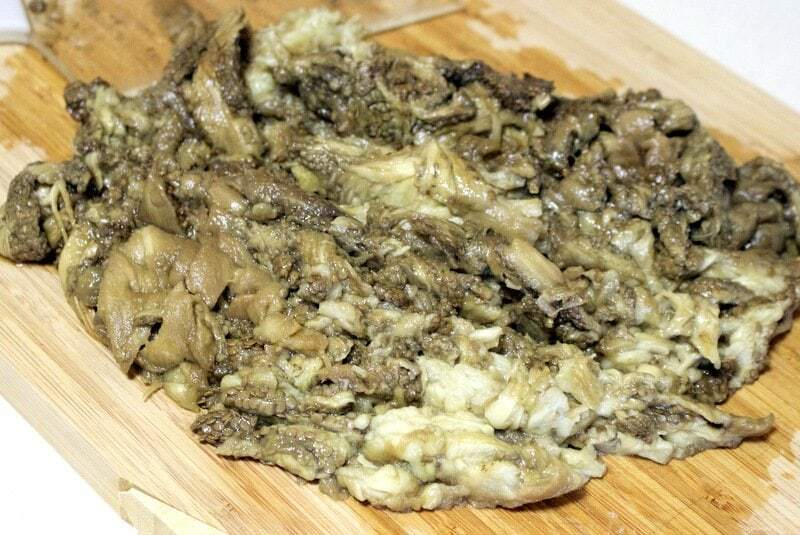 Remove them from the fire and let them rest on a tray for few minutes before you start peeling the skin off. This is the most convenient method of cooking the eggplants for the salad. Place the eggplants on a baking tray lined with baking paper or tin foil and prick the eggplants with a fork several times . 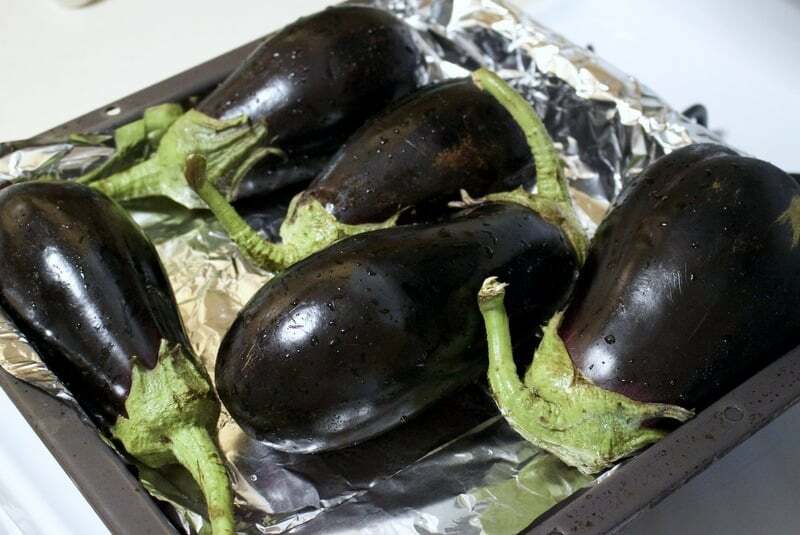 Bake them in a preheated oven at 200C/ 400 F for about 45 minutes or until the flesh of the eggplants is very soft. Cooked this way, the eggplants will not be smoky, but mild and sweet. 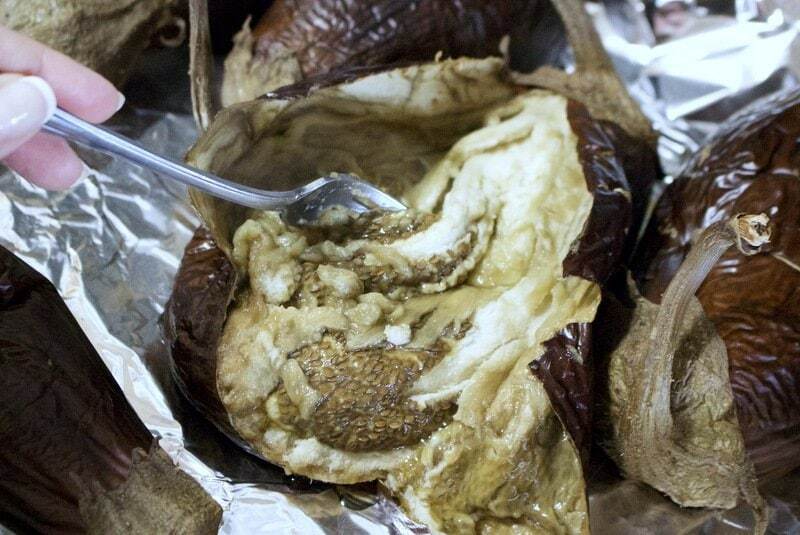 After grilling, roasting or baking the eggplants, let them cool, then carefully remove all the skin. Place the eggplants in a strainer and drain the juices out for about half an hour to one hour. 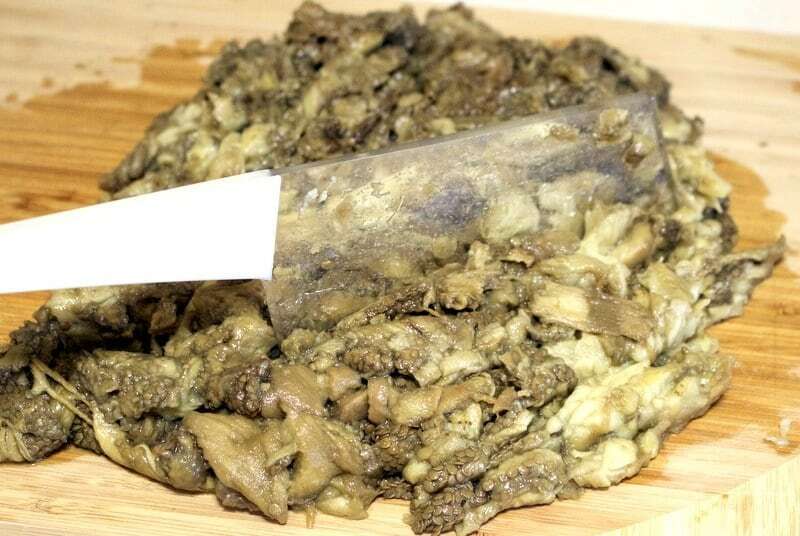 This step will remove the juice from the eggplant that is supposed to be bitter. Chop the eggplants on a wood board with a special wooden/plastic knife made especially for this purpose (if you are Romanian and have one, of course) or with a regular knife. This is my special plastic knife, inherited from my mom, especially designed for chopping eggplants. A popular belief was that you should not touch the eggplants with metal, because the eggplants would oxidize and the salad will not have a pretty color. I am not sure if this is true or not, in my opinion, using a regular knife should be ok. Most knives today are stainless steel. You could process the eggplants in the food processor, the salad will then have more like a spread texture, which is delicious but not very authentic. I prefer to chop the salad rather roughly, so that I have something to chew here and there, but the degree of chopping is totally up to you. After you are done with this step, set the eggplants aside and go to the next step. Peppers are best roasted directly on an open fire. A wood grill is the perfect way to do it, but directly on a gas fire stove is perfectly acceptable. Grill them until the skin is black and blistered. Remove them, let them cool a little bit so you can handle them, then peel off the skin and place them on a plate. 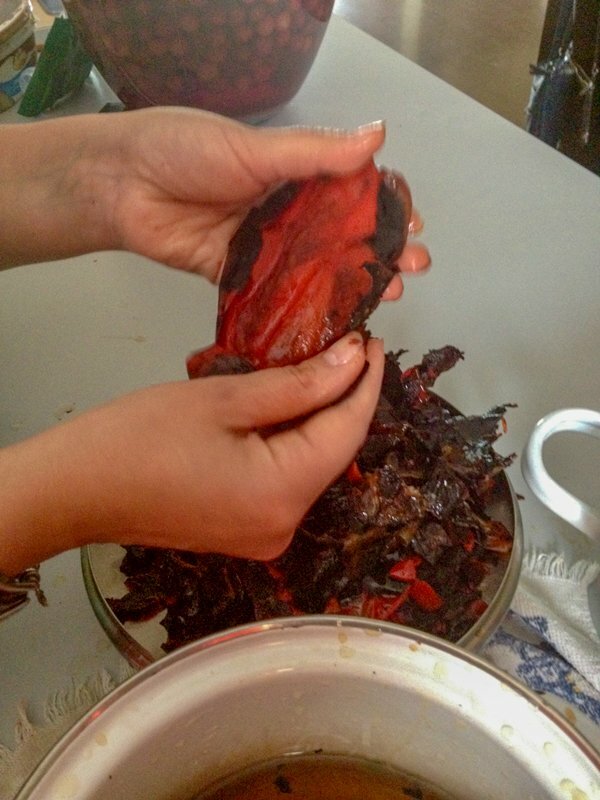 Or do it like in Mexico, where cooking with different peppers is the core of the cuisine: Place the charred peppers in a big bowl or pot and cover them with a lid for few minutes. The peppers will sweat and the skin will come off very fast and easy. Use a little bit of water to wash your hands while you peel the peppers. It makes your life easier. 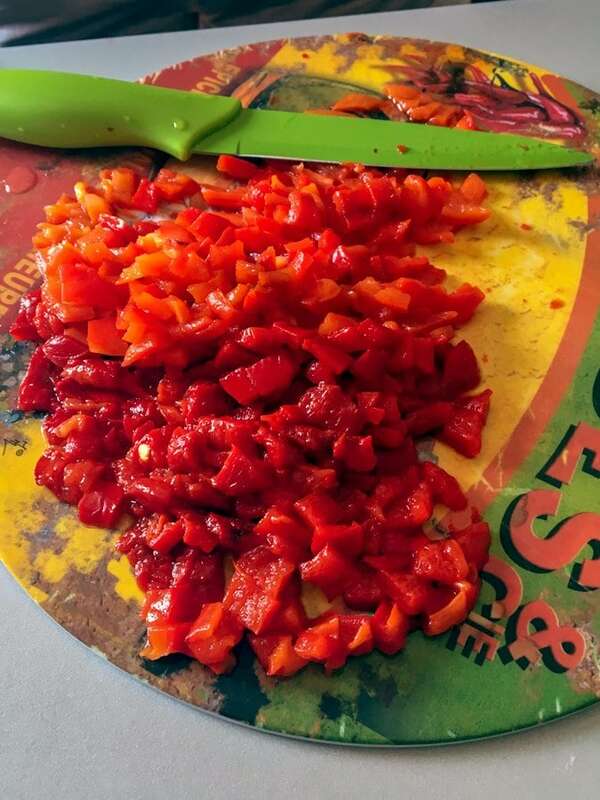 Remove the seeds and cut the peppers in thin slices or chop them small, as you like. Set aside. 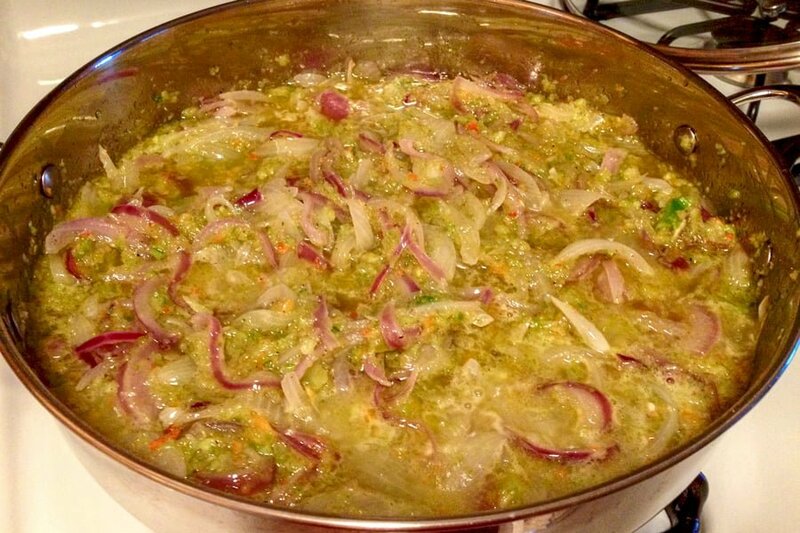 First, this vegetable spread is made in large pans that have a large surface for the liquids to evaporate. This way, the spread will be thicker and delicious, not soupy. The pan sits on the stove on lower heat and needs to be supervised at all times. You also need to stir in the pan most of the time to make sure nothing sticks to the bottom. We start with the onions by slicing them Julienne. Any kind of onion is fine. I used red, but sometimes I use sweet onion or white, or even a mixture of them. 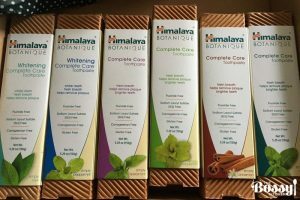 It all depends on what I find in the store. In a big pan place the oil and heat it up on the stove on medium heat. 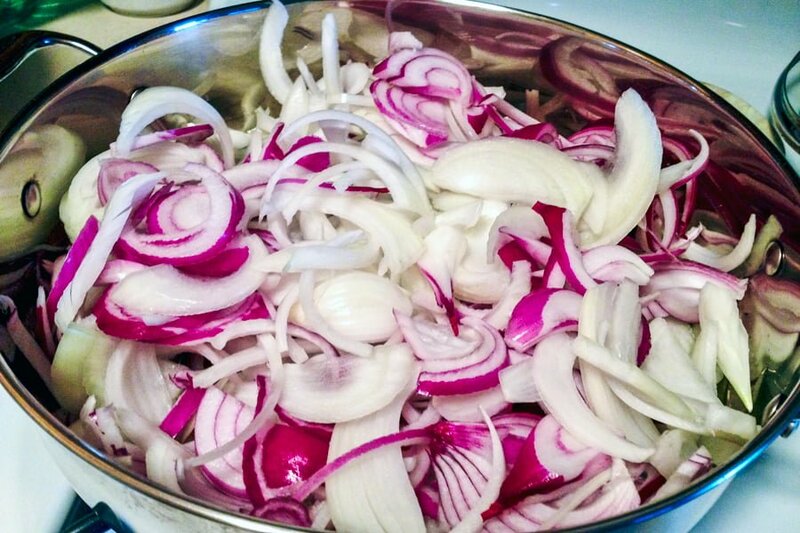 Add the sliced onions and cook them slowly, on medium low heat. Stir once in a while and let them cook until they become translucent. Add salt and pepper. 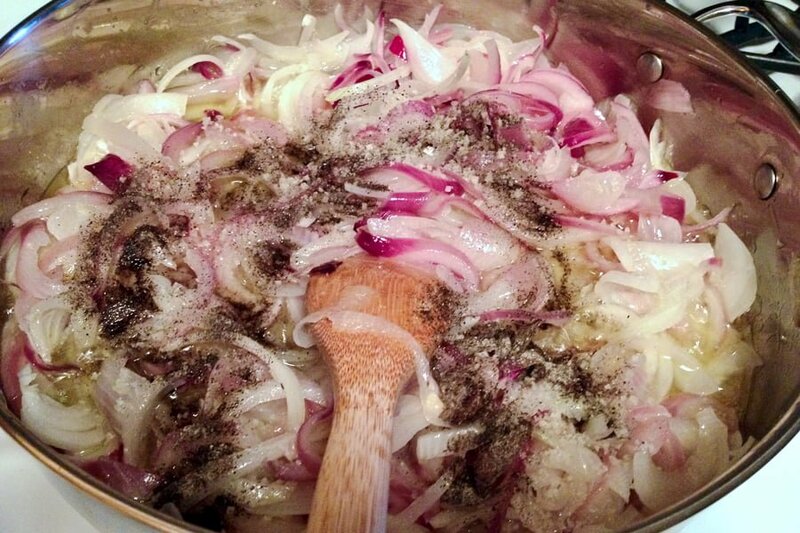 Lots of pepper, as you have a big amount of onions. 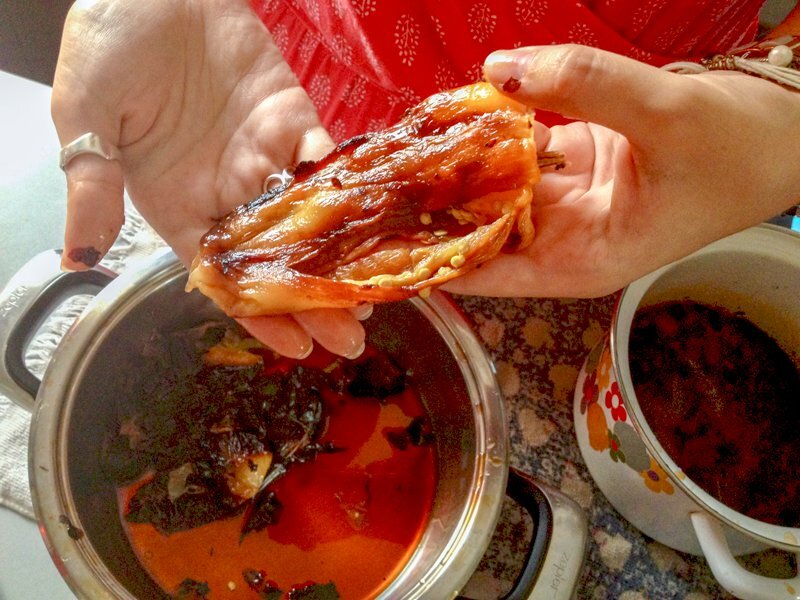 The thing is that I love cooked onions, so at this point, when the onions are translucent, I love stealing few tablespoons from the pan and eat them o slices of bread with salt and pepper! It is definitely my favorite time of the year! 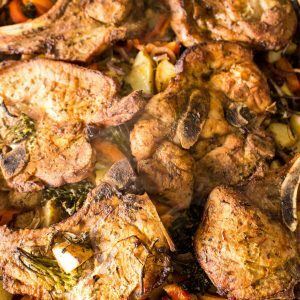 When you get to this step, add the roasted peppers, chopped eggplant and stir again. Add bay leaves and finally the tomato sauce. In the summer, I use tomatoes from the Farmer Market that I put in the food processor and make them sauce. If I make this spread late in the fall, when tomatoes are not so great anymore, I buy the tomato sauce, or paste and use it the same. This vegetable mixture now is going to slowly cook on the stove for about an hour, while I stir constantly, so it doesn’t stick to the bottom. After an hour, I taste for salt and pepper. At this point, everything goes in the oven for about two hours, at 350F/180C. 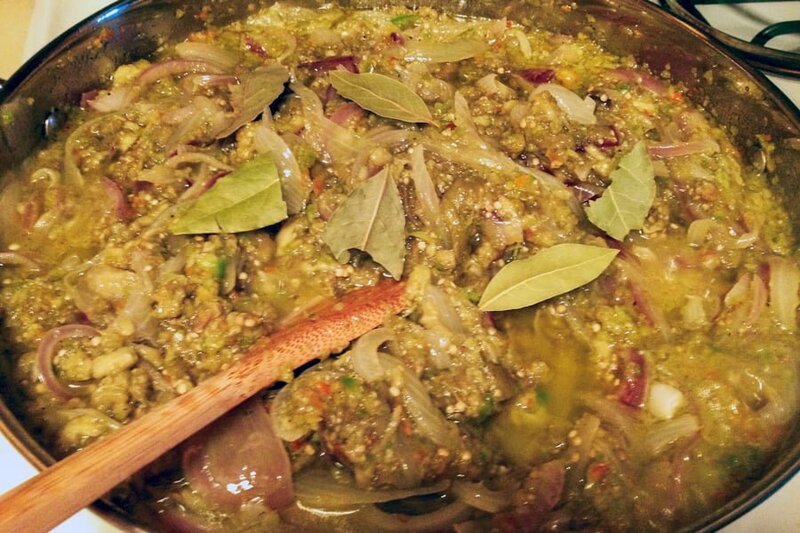 It is ready when it becomes thicker and the oil is floating on top of the vegetables. While the spread is in the oven, I sterilize the jars. The jars and the vegetable spread have to be hot when you fill the jars. I seal them and flip them upside down. I cover all the jars with a blanket and let them cool down. The next day I preheat the oven at 215F/100C and place the jars upside down on a baking tray inside the oven. I shut off the oven and leave the jars inside without opening the oven, until they cool completely. I remove them from the oven, label them and place them in a cool pantry for later use. The spread is good until summer, if you don’t finish the jars earlier. We like opening the first jar in November and I usually send jars with this spread to my daughter who doesn’t live in the same city with us. Or she comes to visit and leaves with a full suitcase of them. We like the spread as an appetizer, as I already said earlier, but we also like to take it to work or for lunch. It could be also a light dinner, next to few slices of good bread or crackers, cold cuts or good cheese, your favorite. It is the perfect food. 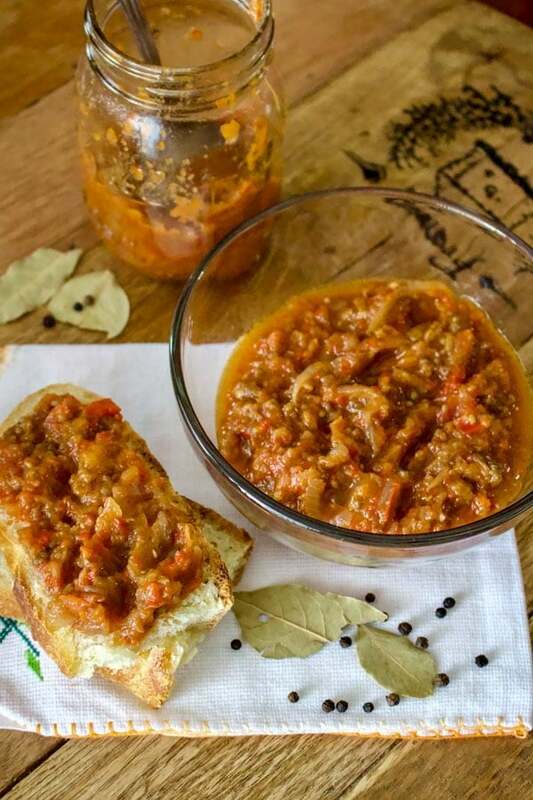 Romanian vegetable spread-Zacusca, is a combination of roasted eggplant, roasted peppers, tomatoes and onions, all slowly cooked together to perfection. I used 20 jars of 16 oz inch(1 pint) sterilized. Clean the eggplants and the peppers. Grill all the eggplants and peppers until they are charred. Peel the skin from both eggplants and peppers and also remove the seeds from the peppers. 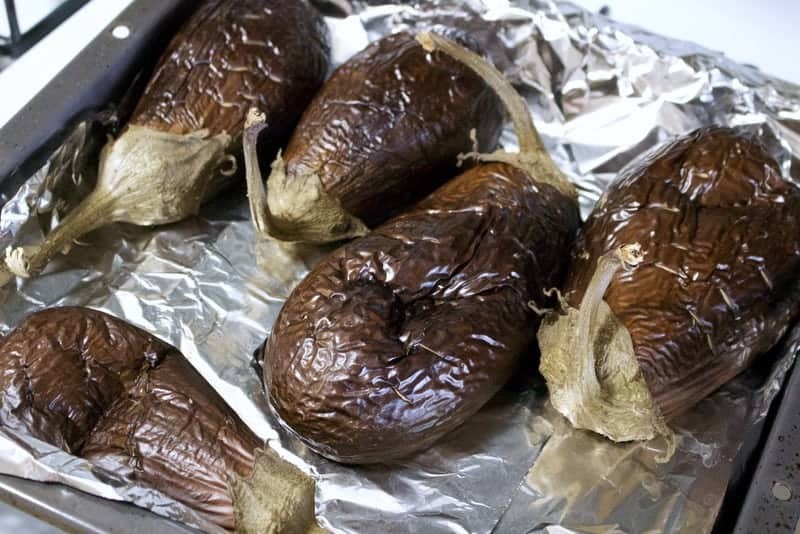 Note: If you choose to roast the eggplants in the oven, place them on a tray, pierce them with a fork and roast them at 400F/200C for about 45 minutes or until the flesh is soft. Remove from the oven and peel the skin off. 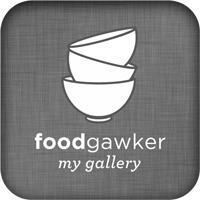 Let the eggplants drain in a colander until no juices come out, at least one to two hours. Chop the eggplants and the peppers using a knife or a food processor, whatever you have available. Do not make a paste, pulse just few times to chop the soft vegetables. If you use a knife, chop everything fine. Set aside. Place a very large pan on the stove and pour the oil in it. Heat up the oil on medium heat and add the chopped onions. Cook them until soft, but make sure to stir in them so they do not burn. 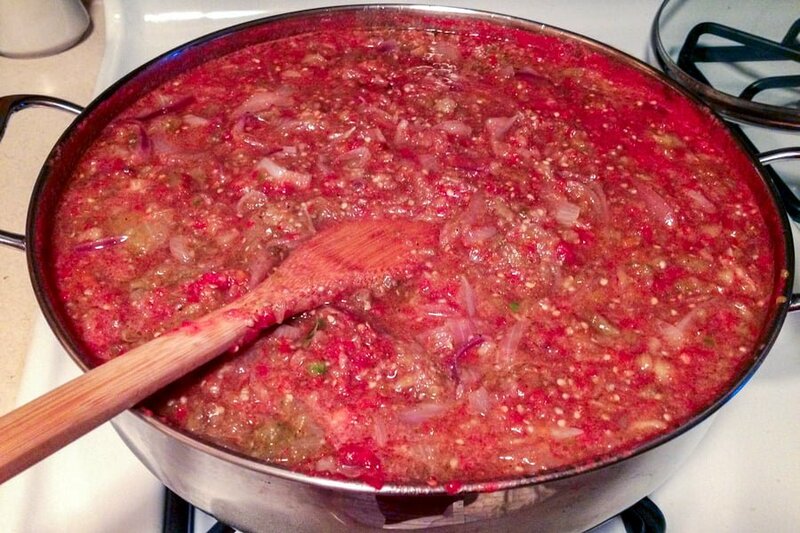 Add chopped eggplants, peppers and tomato sauce. Add three tablespoons of salt and the pepper and mix well. Add the bay leaves. Taste and add more salt if necessary. Note: The heat should be moderate to low and the pan should be supervised at all times. When the vegetable spread starts simmering, lower the heat and continue stirring occasionally to make sure the spread does not stick to the bottom of the pan and burn. Simmer for about an hour on the stove. Preheat oven to 350F and move the pan inside the oven for another two hours. The spread will be ready in about 3 hours total or when the vegetable oil comes to the surface of the spread. 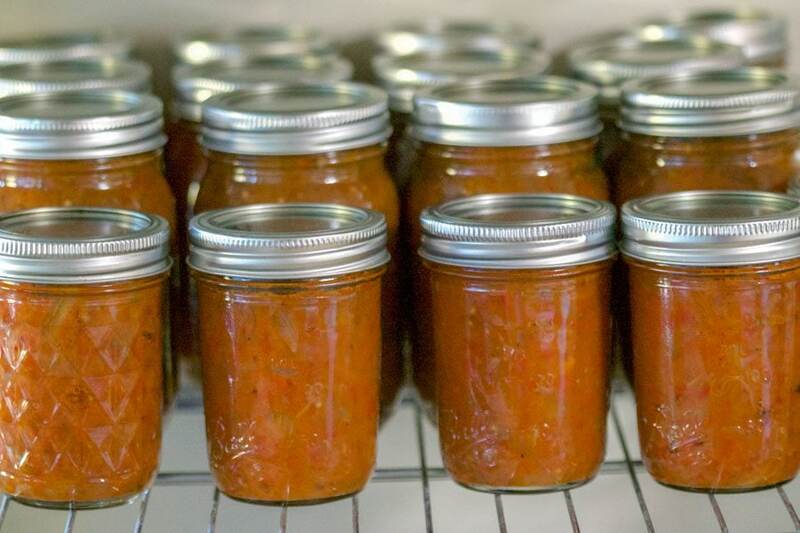 How to sterilize the jars and finish the canning: Boil the empty jars in hot water for about 10 minutes. Fill the jars carefully with the hot spread so that there is about an inch left from the top. Seal the jars really well and flip them upside down. Place all of them on a metallic tray and cover the jars with blankets to cool down slowly. The next day, preheat oven to 215F and place the tray with the jars inside. Shut down the oven and let the jars inside to cool down completely. Another method would be to sterilize the jars in a water bath for 40 minutes.